The subject of family owned business is important globally, and in particular in the Middle East, where it is further exacerbated by the fact that many of these types of businesses are first or second generation family-owned companies. In these first and second gen entities, topics like succession planning are still pretty new, and in some cases have not yet received significant attention. Succession planning is actually a difficult topic- not only is it about securing succession on the highest level of leadership, it applies across the organization on multiple levels. In addition, succession planning by its very nature requires extreme proactive and a forward looking mindset. It is about ensuring that there is a solid pipeline of talent in the company that can address the needs for filling critical positions. In the GCC, succession planning is extremely relevant, with many studies reporting that family businesses often fail before the third generation. (I’m also sure that these statistics apply more generally, not only within GCC.) Similar challenges can be observed for example in South Korea, where family-owned businesses have a large role, and also in Iran, where the economy is developing rapidly. The challenge faced by the second and third generation are substantially different from that faced by the first generation (often a single founder), and thus, this is perhaps not that surprising. Also, given that the first generation is often highly entrepreneurial, they often tend to “forget” about succession planning until the last moment. This makes the task even harder. 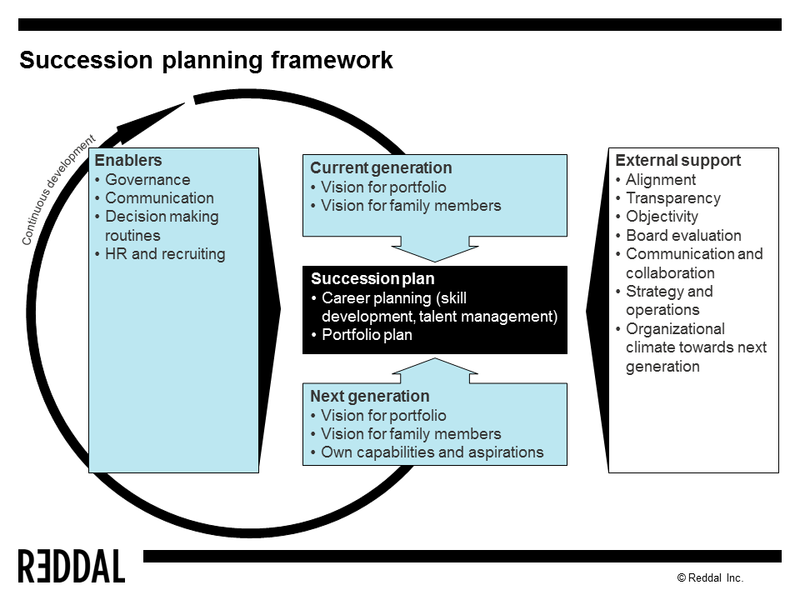 When considering succession planning, one has to deal with the organizational structure and demographics, and also many core processes such as governance, communications and availability of critical information, decision making routines and documentation, and human resources and human resource development, including areas like recruiting, talent development and retention. Building an in-depth understanding of the roles and responsibilities of the company, and the key positions which act as connection points (points where a lot of communication or decision paths come together) is key. 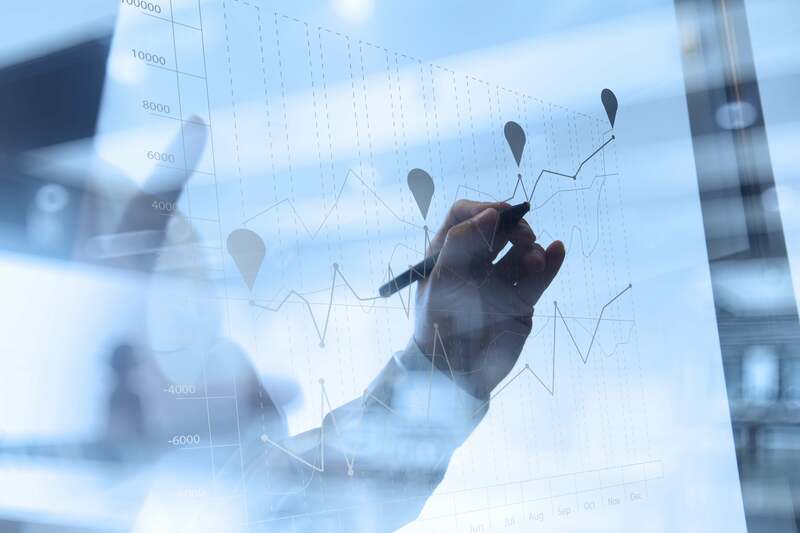 Given all this, the amount of fact-based analytics that goes with succession planning may surprise many managers who have not dealt with the topic before. Family owned businesses have many strengths, such as their ability to look at the long-term development of their company and having aligned interests between management and owner, especially in the case of “owner-operator” structures. However, there are also many challenging issues, such as how to objectively evaluate performance and capabilities, and how to best ensure talent development within the family. In some cases, families -despite having a common base to build on- have difficulties with open discussion within the family members. It’s very hard to disconnect emotions and to be fact-based and objective in a family setting. So having some external impartial support can be quite helpful. The first thing to realize about succession planning is that it is not a “project;” rather, it is a way of managing the company professionally. As I mentioned earlier, this is also not only about the succession on the top, the same issues appear across the company on all levels. So having adequate processes in place is necessary for all companies, not only family-owned businesses. However, given the generation-by-generation characteristics of a family-owned business, choosing the right kind of support is even more critical. Typically, succession planning issues appear across generations, and it’s useful if the partner helping in these matters has the status of a trusted advisor, with trust that spans across multiple generations of the family members. In short, choosing a partner that can build trust, and that can help both with the succession planning itself, but also related key issues such as talent and career planning, skills development, governance, communications, and role definition is important. As you can see from this, to be able to effectively manage and guide in succession planning, an external party must have a broad set of skills. These skills are partly related to the topic of succession planning, but having a broad understanding of strategy and operations, and what these functions require both from top and middle management, and the board, is powerful. In addition, having experience in governance, including topics such as board evaluation and development, is helpful. On the soft side, working with family companies requires both communication and collaboration skills, and in particular good listening skills, since building trust across generations requires a lot of attention and patience. This is not a simple task, and certainly just being a good listener is not enough. Many times the external party must step up and help in resolving conflicts and Gordian knots, and in addition there are moments when direct and honest (and sometimes quite tough) feedback must be shared. The task of an external party helping a family-owned business in succession planning is to support in taking a big picture view on all of this, providing a framework that helps everyone to see the relevance of the many parts of the puzzle, and build momentum for concrete changes and improvements step-by-step so that the family owned business prospers and develops. Again, being able to address strategy and financial issues is part of this– succession planning is much more than strictly an HR topic. While the family members share a natural bond, it is key to understand that sometimes this is also a critical limitation. Younger generations may find it difficult to raise certain issues or desires with their elders, and older generation may either be too lenient or too critical of their younger generation. Issues like these are highlighted in the family setting more than in “regular” corporate environments, where there is less of an emotional connection. So ensuring open communication, trust, and taking a fact-based analytical approach to the topic of succession planning is what an external party can provide. Of course, in addition to this, given the complexity and breadth of the topic an external party also needs to bring in-depth expertise and experience from having done this type of work at multiple occasions. All in all, for family-owned companies, if they can find an external party that they feel provides the trust and long term perspective the family itself has, I think it can be very beneficial to have that external impartial body of brains, ears, and mouths be a part of the process. Trust is very, very important. At Reddal, we do not consider ourselves consultants- we put very strict limitations on the way we work. For example, once we engage with a company, we will never engage with a competitor– not now, not in the future. In addition, we refrain strictly from taking a position on an individual person’s performance. We do address issues with team performance and succession, but we stay away from individual performance evaluation. The reason is simple: you need to have 100% trust with all members in the process, and you need to have the sense of long-term engagement. We have found that this approach is even more important in family-owned businesses, where trust is so critical. At the same time, we feel very privileged to work with family-owned companies around the world, and in particular in the Middle East. It is a very interesting task to work across generations, helping the family to establish a management model that is robust and lasts across generations. Also, the true commitment to long-term development that is intrinsic in most family-owned businesses is very inspiring. That being said, sometimes families have difficulties in setting a direction, and during certain periods their decision making may fluctuate considerably so there are certainly challenges when working with family-owned companies. Instilling corporate governance into the business model is more of a mandatory thing, rather than just a benefit. Without proper governance, a company (be it family-owned or not), can simply not survive. This is even more critical today, when businesses have to deal with very complex issues almost from the start, and often these issues are global in nature. What limitations are imposed on the family members in relation to the company management? The growing pains are that usually switching from the first generation “entrepreneurial” style to proper professional grade succession planning requires a major change in mindset. Sometimes this is only possible in conjunction with the actual generation shift. However, it is much better if succession planning and governance are already addressed within the time of the first generation. This way the process is smoother and has a better likelihood of success, success including also preserving good relationships across the family members throughout the process. 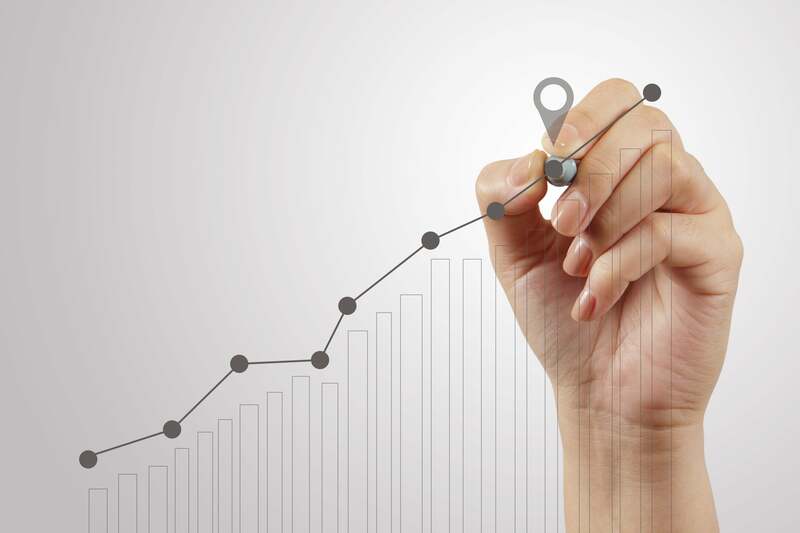 Succession planning, just like everything else in a company, is something that develops over time. For every iteration, new improvements can be identified. I mentioned earlier that it is not a project, rather it is a way of managing professionally and it also ties into proper risk management. Moreover, it is also something where continuous development applies. So this topic is something that should be part of daily management, it should be systematically applied, and there should be continuous development in iterative cycles. In short, it is in intrinsic core element of modern professional management, and key for all companies who look for long-term success. Approximately 70% of American organizations and one-third of the U.S. companies listed Standard & Poor’s 500 (S&P 500) fall under the family business category. The 2012 PwC Global Family Business Survey found an even higher number in the Middle East, putting the number at 80% of regional businesses being run or controlled by families. In the West, in particular after dramatic events such as 9/11, succession planning is nowadays considered tightly integral to overall corporate leadership and risk management. Large corporations have plans in place for large-scale transitions where they may be required to move the location of their headquarters to another continent, and to replace large parts of their top management on a very short notice.